The process of finding one’s identity is often messy, time consuming, and sometimes surprisingly rewarding. Such has been the journey for UK indie rockers The Crookes, who have done the impossible on their fourth album, trading in their leather jacket Arctic Monkeys-inspired punky sound for something lighter, synthpop-y and easygoing. One can’t help but be slightly taken aback, but peering into the band’s activity over the last two years, there is a fitting explanation. 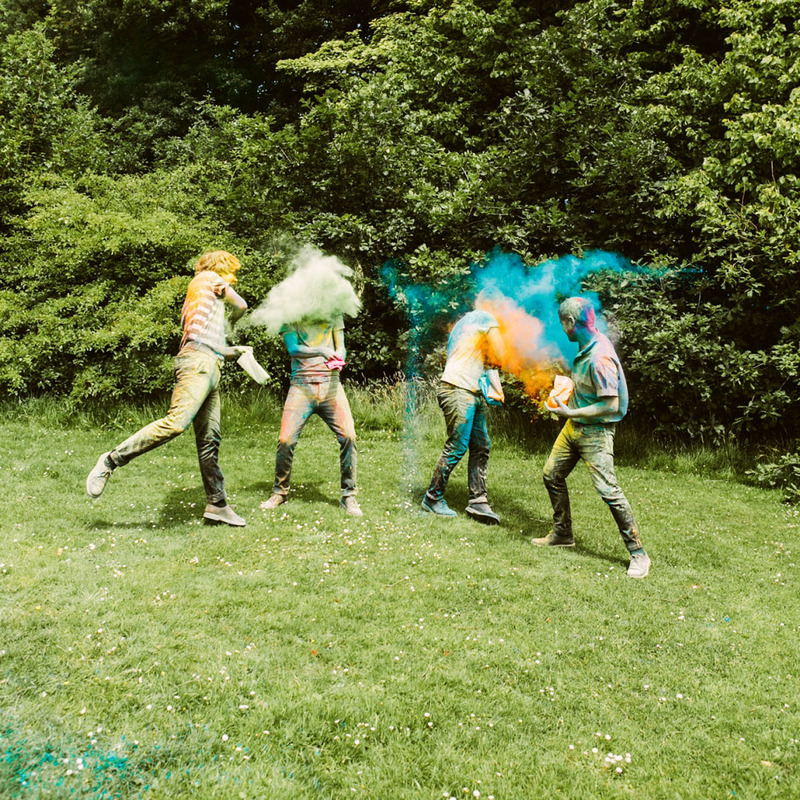 The pop-heavy album comes on the heels of a major period of transition for the band, as The Crookes have seen several changes in their lineup. After the departure of drummer Russell Bates, the band took on an unusual approach to songwriting, deciding to record without drums. It wasn’t until Adam Crofts stepped in that the band was a shiny new foursome again. A lot of bands and artists would falter in the face of such rapid change, however it was from this regeneration that friendships were formed and new music was made. The soft and slow wailing of a melancholy guitar hook isn’t usually the way to start off an album, but The Crookes are after something more blissful than the shock factor. It’s tranquil and slightly unsettling. Where is the dark, slick lyricism we’ve come to expect? Where is the jolt of energetic rock & roll? And most importantly, where are The Crookes? At first listen, “Brand New Start” is exactly as the title states. It ebbs and flows, drifting away from an older version of the band. They’ve succeeded in pleasantly startling the listener, and there is nothing left to do but perk up your ears in curiosity of what’s next. The layers echo and slowly “Brand New Start” blossoms into something happy, evoking a Beach Boys vibe before exploding into the jangly, uptempo rock track “The World Is Waiting.” It sounds like The Kooks mixed with something younger, greener, and a little rough around the edges. It’s a head banging, garage-band-sounding anthem that makes one want to dance their troubles away. 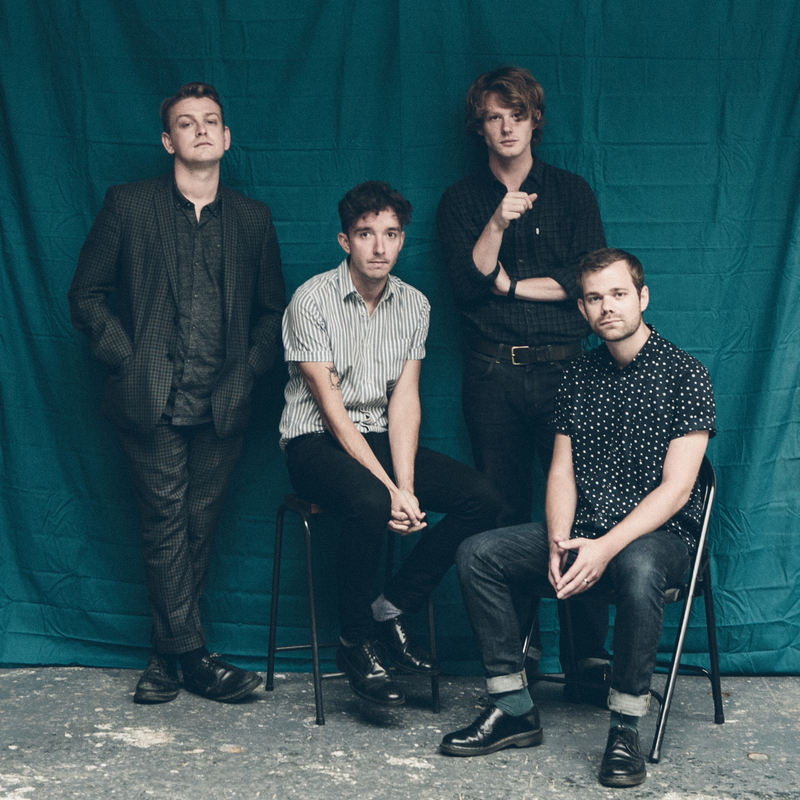 The Crookes aim to surprise, please, and rock out as they enthusiastically broadcast to everyone that they’re having more fun than ever before. Lucky Ones (released January 2016 via Anywhere Records / Modern Outsider) is a sweet departure from the signature ‘British indie rock’ sound that has been associated with bands like Arctic Monkeys and The Libertines. The Crookes have sought out a more mature, experimental sound that crosses seamlessly from bouncy rock to buoyant pop. They flirt with 80’s sounding synths and carry an eager youthful optimism about the world around them. As groovy pop makes a resurgence on the radio waves, The Crookes cheerfully make it clear that they are only too happy to be a part of the indie pop revival. The end result is a record about making the most of each and every day. It’s a mentality that is quite similar to free fall: learning to let go and trusting your instincts. One cannot help but feel as though they have glimpsed into someone’s diary and each song is the turning of a page, getting to know the band a little bit better the deeper you delve. What do you get when you cross The Cure’s “Just Like Heaven” with an even fuzzier mix of rhythmic guitar? The answer is “I Wanna Waste My Time On You.” A standout track on the album, the song is a bubbly declaration of the type of love that consumes you. It’s all thanks to a girl – the kind of girl who spins through your mind all day and could bring you to your knees; the crush who gets stuck in your head and your heart. Anywhere you go, they can’t be shaken off. It’s a call for adventure, dripping in romantic clichés that sweep you off your feet. Wanderlust is the closest a word can come to describing the giddy feeling of first loves, and this song perfectly captures all of those emotions. Energy pulsates through each beat, acting as a spark for an adventure. In all its glittering disco-ball glory, this is an album that is a lot like going to one’s first high school party. It’s embracing reality with open arms. It’s taking the first steps into adulthood with no regrets, but still remembering to have some fun along the way. “If Only for Tonight” is an Arcade Fire sounding testament that alludes to the anxiety of growing up. Lead singer George Waite’s vocals easily convey this passion, and you can’t help but want to listen again. Album closer “Brand New Start, Part 2” is like the last song at prom: It is a bittersweet farewell to familiarity, but at the same time it is taking the first step into the future. As the last few chords fade away, it is clear The Crookes have created space on the dance floor in a tremendous fashion, without having to try. Lucky Ones seemingly stumbles upon a well-executed formula for a fresh start. Author Elizabeth Berg once wrote, “Sometimes serendipity is just intention unmasked.” This is what this album has shown us. It feels as if the band, by some lucky chance or positive turn of fate, fell into taking their sound in a new direction. But one can tell that perhaps this is exactly what they set out to do. For the listener, it’s easier to hope for this serendipity than to explicitly wonder if the album is the answer to segueing into a more mainstream audience. Whatever the case, it’s still a record that is proof the band is flourishing and growing. As carefree as The Crookes appear to be, one can’t help but feel as if the band has gotten a bit too caught up in breaking out of their mould. Now that they’ve proved themselves to be a pop/rock force to be reckoned with through this album, it’s time for them to relax, let go, and capitalize on their creativity. Lucky Ones scratches the surface of something truly special, honing in on what it means to welcome change. The Crookes haven’t fully abandoned their old sound, but bringing in the pop is a hopeful glimpse at what could be and what is yet to come. The Crookes have blended together the sounds of some of the greats, and now it’s time for the band to reinvent indie music without borrowing so much from other artists. Appreciation is all fine and good — in this case, it works. But if The Crookes are aiming to tell a story about stepping out into their own, they need to follow through and truly become themselves.